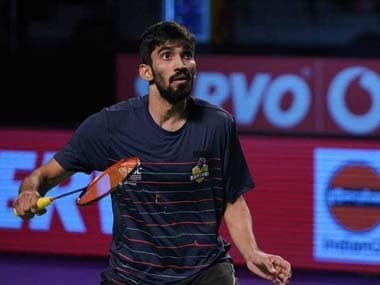 Bengaluru: Bengaluru Raptors edged the Mumbai Rockets 4-3 to win their maiden Premier Badminton League title on Sunday. World No. 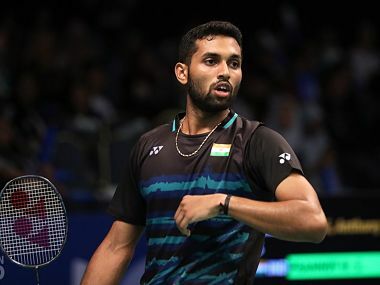 18 Anders Antonsen lost narrowly to the Bengaluru skipper Srikanth when the two faced off in that battle at the beginning of this week. Any hope of a turnaround was dashed by a superb Srikanth who grabbed a 15-7, 15-10 victory. The Bengaluru talisman rode on his smashes to open up a 5-1 lead and extended it to 10-4 in a completely one-sided display. Antonsen used his tight spinning net game to trouble Srikanth in the first half of the second game and made it 5-5. But that was all he could do against a determined Srikanth who went up to 12-9 and closed out the match for his eighth win on the trot. Hendra Setiawan and Mohammad Ahsan showed that age is just a number. With the entire stadium cheering vociferously for the Raptors pair, the former world champions never put their foot wrong and finished off a 15-13, 15-10 win. The World No. 9 pair's reflexes were too much for Mumbai's Lee Yong Dae and Kim Gi Jung and it was only a matter of time before the men in yellow grabbed the much-coveted win. World No. 59 Vu Thi Trang had the responsibility of playing the trump match for Bengaluru against Mumbai's 202nd ranked Shreyanshi Pardeshi and she thoroughly lived up to the expectations, notching up a 15-8, 15-9 win. Overcoming a slow start, she took five consecutive points to go up to 8-6 and effortlessly closed out the opener. Pardeshi gave a much better account of herself in the second game, remaining toe-to-toe with her rival until 8-8. The Vietnamese banked on her tremendous defensive skills to come out on top of a 22-shot rally and that was all she needed to slam shut whatever little chances the young Indian had. She pocketed six of the next seven points to complete the triumph. Earlier, Mumbai Trump Pia Zebadiah and Kim Gi Jung made it a fabulous start for Mumbai. The two ensured that their attack was always on point and made life difficult for the Raptors' Marcus Ellis and Lauren Smith. Having lost the first game, the CWG silver medallists kept it very competitive in the second game as the scores remained even at 9-9. The Mumbai duo saved a game point to inflict a 15-8, 15-14 defeat on the Raptors pair -- their eighth loss in as many matches. World No. 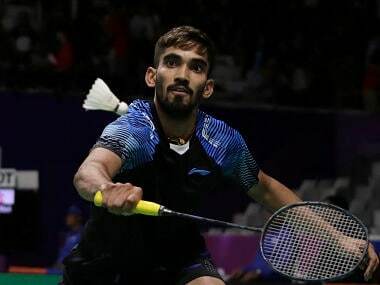 12 Sameer Verma bounced back from a poor start to avenge his league stage defeat to Bengaluru's Sai Praneeth. Sai kept attacking the forehand wing of Sameeer to draw out errors from his compatriot. It rattled Sameer and it was completely evident in his body language. Sai raced ahead to 8-1 and staved off a late surge from Verma to take the first game. Sameer led 7-5 in the next game before Sai levelled it at 7-7 and the two remained on par till 13-13 until the gritty Mumbai ace held his nerves to clinch the riveting second game. That helped Sameer to free up in the decider and he played his natural game, going up to 8-3 before getting the 7-15, 15-12, 15-3 win.